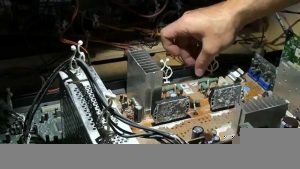 Repairing a TV can be a difficult process if you do not know exactly what you are doing. If you follow proper safety instructions and use the right tools however it is possible. 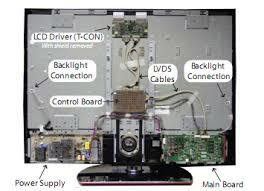 This TV repair for beginners guide can help you in repairing your television. Simply follow this set of instructions and you can get cracking. First things first you must follow safety precautions. If you are indoubt about fixing your television then it is best to stop now. You can call on a team like ourselves at UK TV Repair. Television sets also contain high voltage that can be harmful if you are not careful. Always make sure that the power is turned off before you begin operating. It’s best to work in a team so that you have someone double checking this for you. Whenever handling screwdrivers, make sure that you hold the plastic handle and keep your fingers away from the metal shaft. Now you have all the tools you can begin repairing the television. Firstly, check for any burns or fuse marks. If you find any parts that are damaged then you need to replace them with the exact duplicate models. If you think that you’ve found the problem, replace the parts and test the TV. If you are still not having any luck in fixing your television then try disconnecting the set and waiting 30 minutes again. Then continue your investigation inside the unit to find the source of the problem. Safely, check the rest of the components without dismembering them. If you have tried the following methods or simply do not have the time to fix the television yourself then please do not hesitate to contact our team at UK TV Repair today on 0121 371 0011. We hope that this TV repair for beginners guide helps.